Are you having issues with your garage door at your home or business? How long have the problems been going on? The more that you wait to address the issues, the more you risk them spiraling out of controls, causing you major headaches and hitting your wallet more than necessary. Garage door parts can start to malfunction for a variety of reasons. Your door panels might have been damaged during inclement weather. The batteries in opener or your remote control might go out. The door might have gone off its tracks due to worn-out rollers. Regardless of the problem, you need a reliable to fix these issues quickly and accurately. Garage Door Openers – The’re are responsible for opening and closing the door via remote control; they also dictate how far the door opens and closes. Garage Door Springs – They’re responsible for providing the counterbalance necessary to open and close the door. Garage Door Panels –They’re part of a sectional door, which allows your cars to be closer to the door. Garage Door Sensors –They’re responsible for preventing the door from closing due to something blocking the door. Garage Door Rollers – They’re responsible for guiding the door up and down the track. Local Garage Door Repair Fort Lauderdale is here to provide the exemplary service you’ve been looking for. We pride ourselves on our quality workmanship and we’re dedicated to troubleshoot and fix your issue no matter how long it takes! 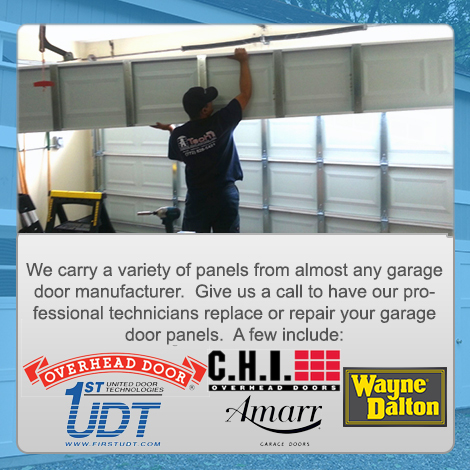 We’ve got your back when it comes to your garage door needs! The more you put off dealing with the issues, the more that you put those who come in contact with your garage door at risk! Don’t wait any longer! Call us at (954) 828-0176 and let’s address these problems once and for all!